Intrauterine Growth Restriction (IUGR), previously known as intrauterine growth retardation, refers to a size deficiency in your baby, based on the average size of a fetus at various stages of pregnancy. IUGR is more common toward the end of one's pregnancy. The majority of possible causes of IUGR are beyond your control. All you can really do is be sure to get proper prenatal care, watch your nutritional status, and avoiding hazards to your pregnancy/baby. Doing all of this will help ensure the healthiest possible pregnancy. How Big of a Problem Is IUGR? While some women believe that a smaller baby will be easier to give birth to, there is a large body of evidence that shows us that smaller babies are at a greater risk for many problems. Some of these problems are life-threatening or can affect a baby's health in the long-term. Immediately following birth, an IUGR baby may have trouble breathing or maintaining their own temperature, meaning that they will require a stay in the neonatal care nursery (NICU). They may also suffer from problems with blood sugar and their immune system, or struggle with other health issues. But the biggest fear is that an IUGR baby is at a greater risk for stillbirth, depending upon the degree of IUGR and its cause. IUGR is typically discovered during routine prenatal care. It can be found as your doctor or midwife measures your growing uterus. 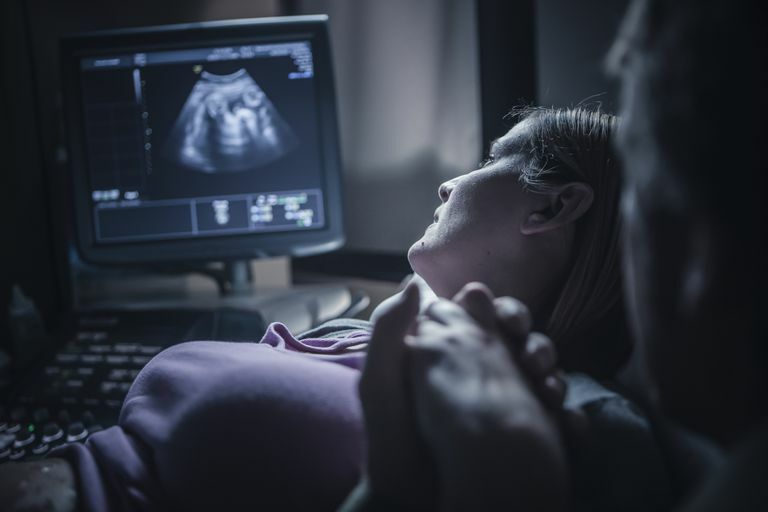 A size discrepancy of greater than two weeks would indicate the need for further investigation, such as an ultrasound to estimate fetal weight. While these estimates are often inaccurate in predicting fetal weight, a series can be helpful to determine fetal growth. Such tests may also provide a welcome opportunity to look for other issues with the placenta, the amniotic fluid volume, or the baby itself. If your baby is determined to have a growth issue, you may receive more frequent monitoring. This may mean more frequent prenatal visits. It can also necessitate more ultrasounds, bed rest, or non-stress tests. Your practitioner may suggest early induction of labor if your baby is still not growing well after increased monitoring, though this is not always necessary. In some cases, the baby will be considered too weak to tolerate labor well. In this case, a cesarean section (c-section) will be suggested as the safest way for your baby to be born. However, this is hard to predict before labor. Either way, you and your baby will most likely have a normal hospital stay. Smith JF Jr. Fetal health assessment using prenatal diagnostic techniques. Curr Opin Obstet Gynecol. 2008 Apr;20(2):152-6.